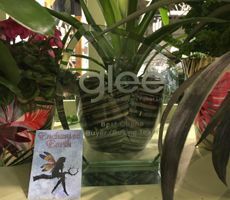 FIONA PRINGLE - ENCHANTED-EARTH THE GLEE POWER AWARD WINNER 2017. Hello and welcome to Enchanted Earth, how are you today? Thank you for taking the time to visit our website, we hope you enjoy browsing and that everything is easy to find for you and that there is much here to delight you. We are a small, family run business nestled besides the Wolds of Lincolnshire, 15 miles from the Lincoln Imp himself. 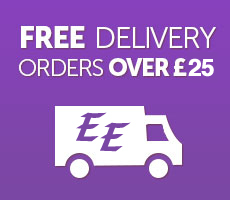 Enchanted-Earth is the UK’s Leading Fairy Garden Supplier. We are the only " Magical Garden Centre" in the UK! We specialise in unique, enduring home and lifestyle products which are quality made to give years of pleasure. Here you will find a wide range of unusual items, from fairy & miniature gardens to large garden statues and wind sculptures, UK grown plants, magical indoor ornaments, incense, Oils, fossils, Wicca & pagan, driftwood sculptures and Beautiful hand made Christmas Decorations . The overriding theme here is a love of nature, the British countryside and the mystical so if you believe in magic, love your garden and wildlife then sit comfortably, you could be here a while! Each handcrafted piece is designed for use in your garden - both indoors and out. Depending on the product and it's construction it will be made in weatherproof metal, stone, resin etc. Where applicable it has been given an exterior weatherproof protection but, like all things in nature, over time colours may fade, metal may corrode and wood will break down. This is natural and to be expected, especially if the items are left exposed to the elements all year round. To prolong the life of your miniature furniture and accessories, you can over winter in a drier place or break out the paint, stain or varnish. After all, your home needs regular maintenance; so do your garden accessories. Many traditional miniatures are based on a scale system (1:12 normally) with the whole diorama being 1/12th real size. This doesn't work so well when you are creating with nature so we we don't mention scale but give accurate sizing on all pieces so you can decide if it fits with you planting or plans. Perspective plays a large part too so sometimes a larger accessory works well in a garden even if you couldn't fit it through the front door of the house for example. It should be noted that none of our miniature items are intended as toys and are unsuitable for very young children. Some of the accessories contain very tiny parts that can easily be bitten or broken off, and the wire support stakes may be sharp. We strongly recommend that very young children be supervised at all times when using our products to create a fairy garden - something that they will love creating again and again. A huge thank you to all who voted for Enchanted Earth at the Glee Power Awards. We have won The Glee Power Awards for The Best Online Buyer! This prestigious award was held at a national event in which big players in the garden sector such as B&Q, Wilko, Wayfair, Ocado, B&Q, John Lewis etc... were also in the running! This is a huge achievement for us being a very new & small family run business based in rural North Lincs. Our buying Fairy travels all over the Uk every year and is in contact online with many companies & artists all over Europe and the USA to source new, quality unique and unusual magical goods to sell. Our Magical garden center, shop & warehousing are not on-site and we do not keep stock here. 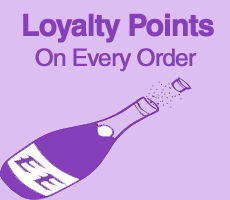 But If you wish to order & then collect that is fine, but please speak to us first on 01673 878 095 to arrange a time & date.